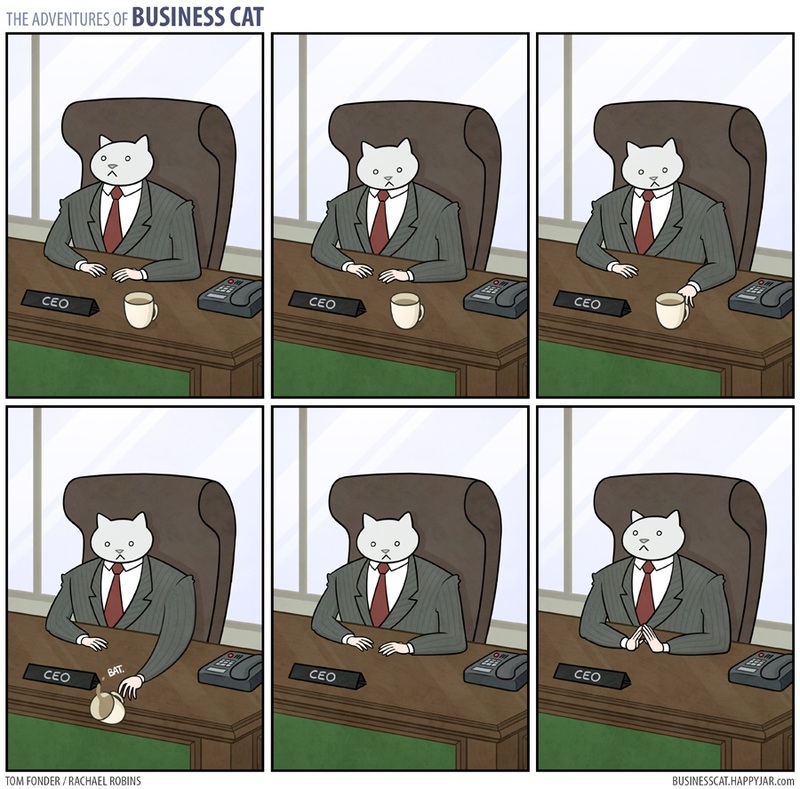 The adventures of business cat! 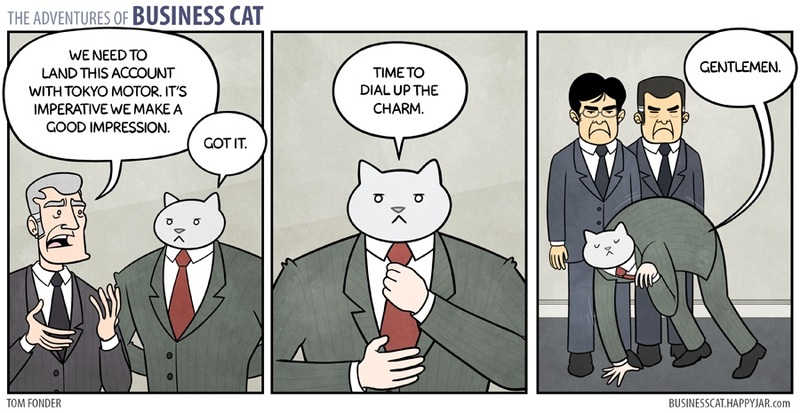 Business Cat enjoys relaxing on a 16 kt gold yacht and receiving belly scratches from high-end escorts. 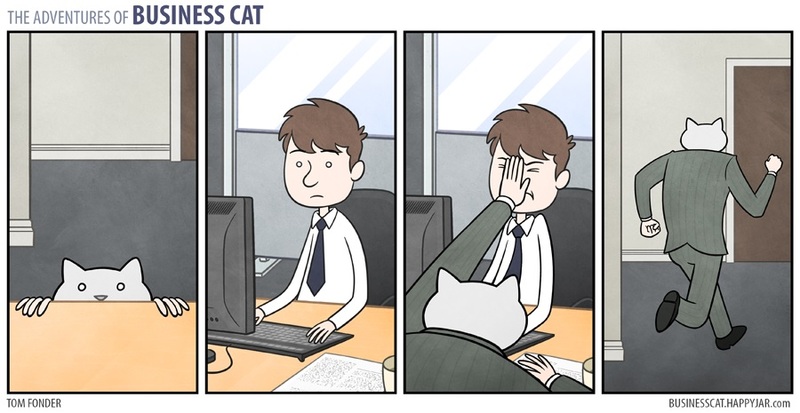 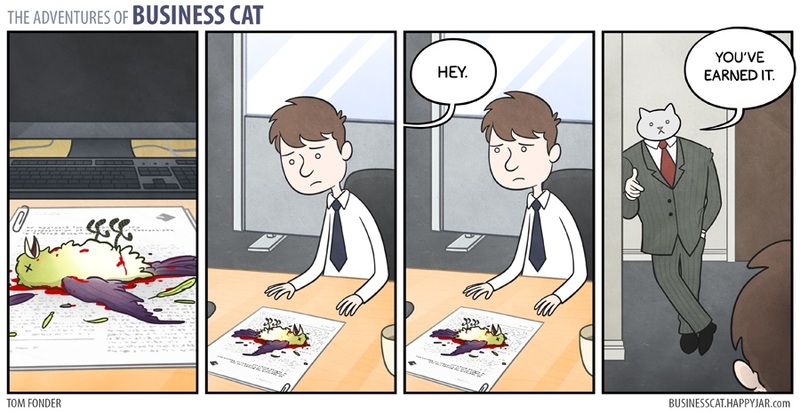 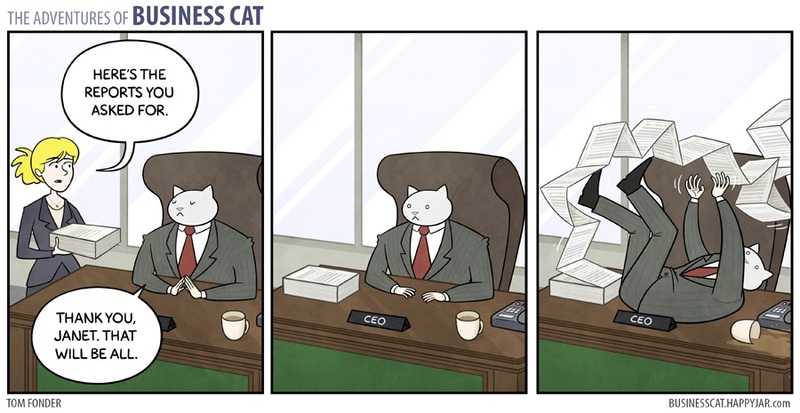 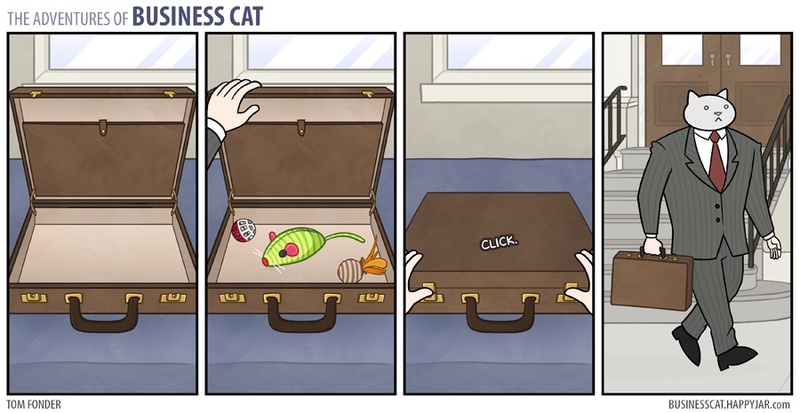 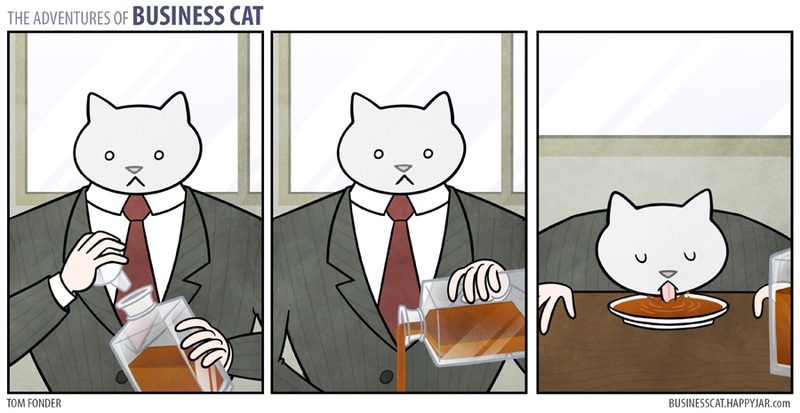 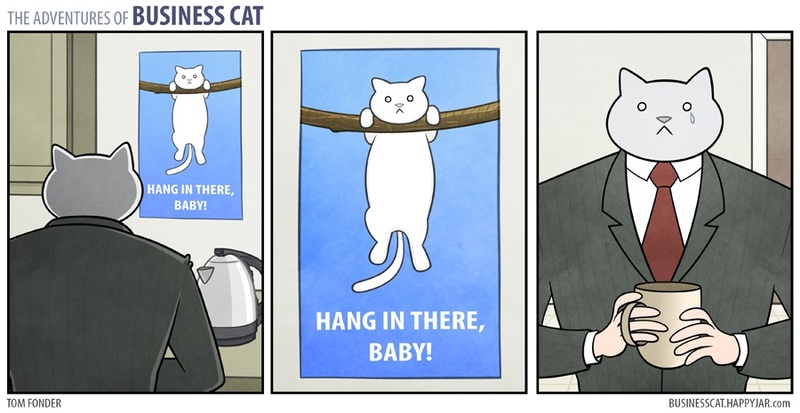 See more from The Adventures of Business Cat!